The new main computer is done. 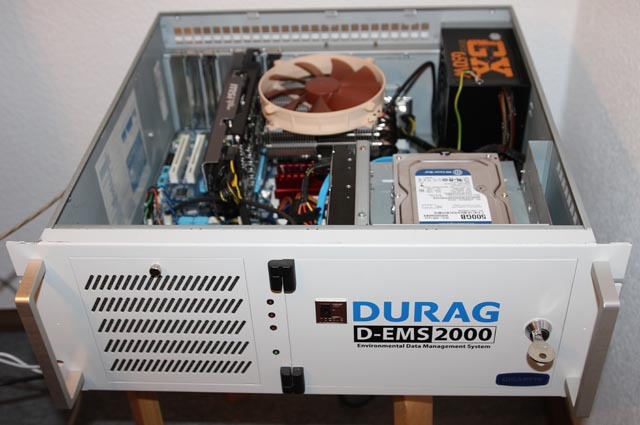 It is a very nice power-package which fits beautiful into a 19″-server rack. 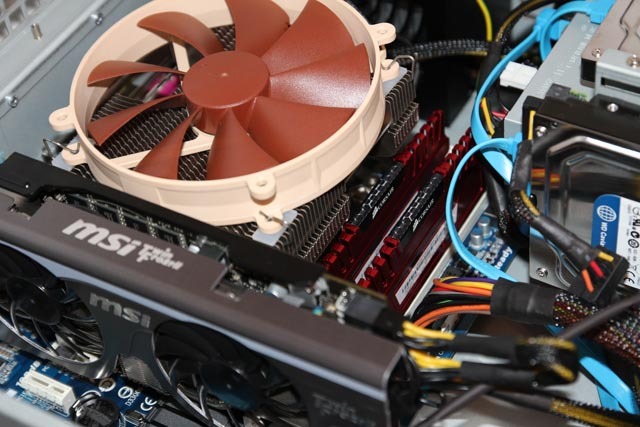 It consists of a z68-mainboard and a i7 2700K cpu running at 4.5 – 4.7 GHz with an Noctua NH-C12P. The graphic card (which is less important for FSX) is a 560GTX-Ti. The new system is able to drive the simulator with 3 undocked views for real 160°-field of sight. We use several upgrades for FSX like GEX, custom meshes and German Airports-addons as well a some of the typical FSX.ini-tweaks. At Frankfurt/Main with bad weather, rain, heavy clouds, dusk and much KI-traffic it reaches 20-25 FPS with 3 undocked views and 30-40 FPS with one single view. Please notice, that in the background there is the AST-Server, AST-fly-by-wire and the EFB-Data Provider also. The temperature is no more than 60 degrees celsius.